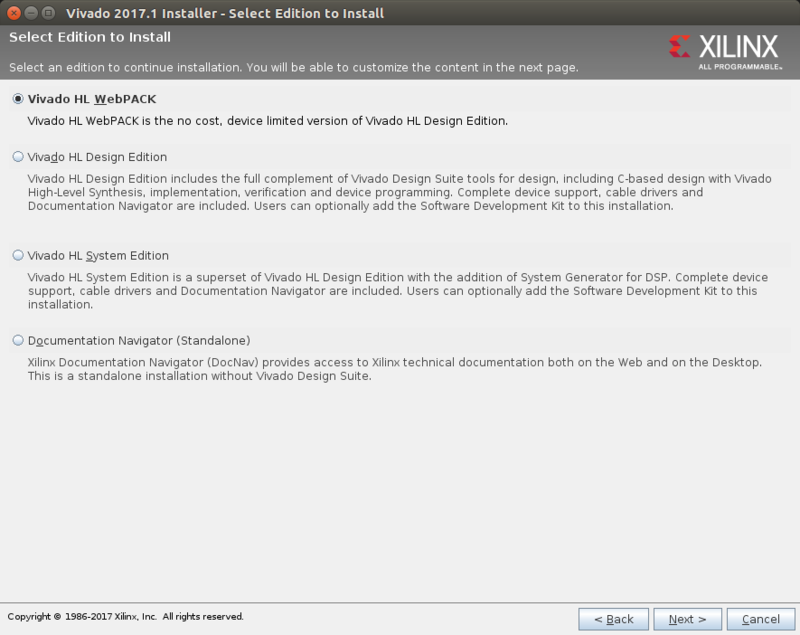 Download Vivado HLx 2017.1: WebPACK and Editions - Linux Self Extracting Web Installer. 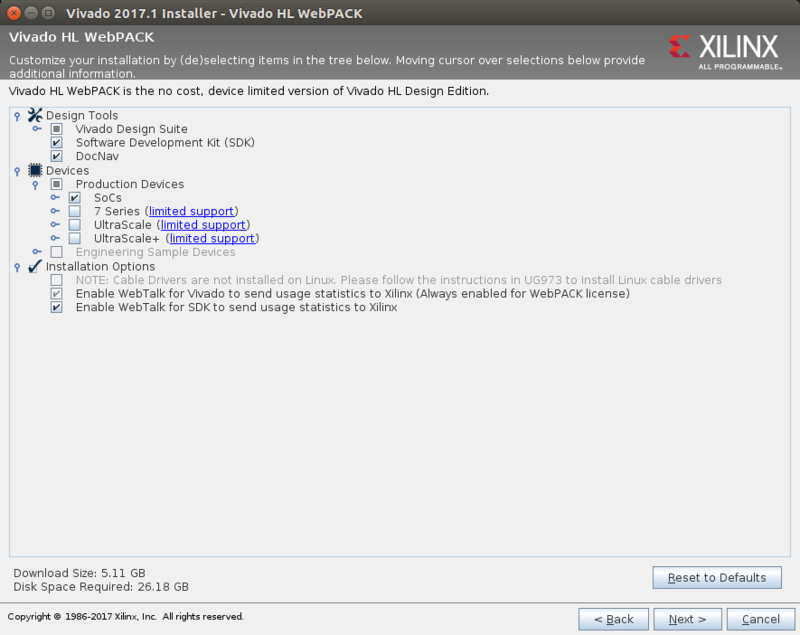 Follow instructions until prompted to select edition to install. Select Vivado HL WebPACK. Customize your installation. Include Design Tools > Software Development Kit (SDK). 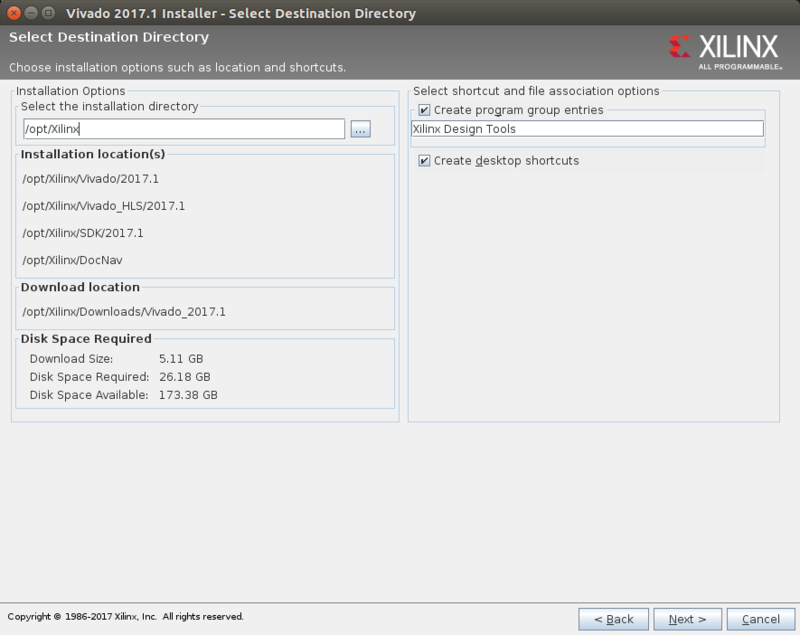 Select the installation directory and follow instructions.